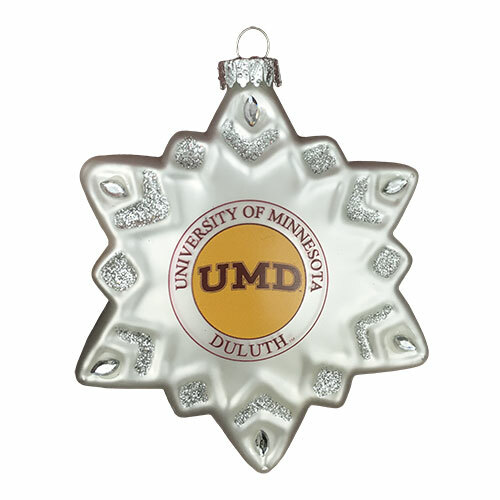 Snowflake-shaped glass ornament featuring printed UMD graphics on the front. The matte glass snowflake, with sparkling accents on both sides, is a beautiful addition to a Bulldogs fan's tree. Comes with a silver attached hanger (hook is not included). Measures approximately 4". Comes packaged in a decorative box.